The perfect summer look can be completed with just a basic crop top. And that’s the look Noonie Regardless was rocking when haters came after her. We love crop tops and have for quite some time. They’re just so versatile. Especially with marble-inspired crop tops taking over the fashion scene. So of course Noonie wanted to rock a crop top! 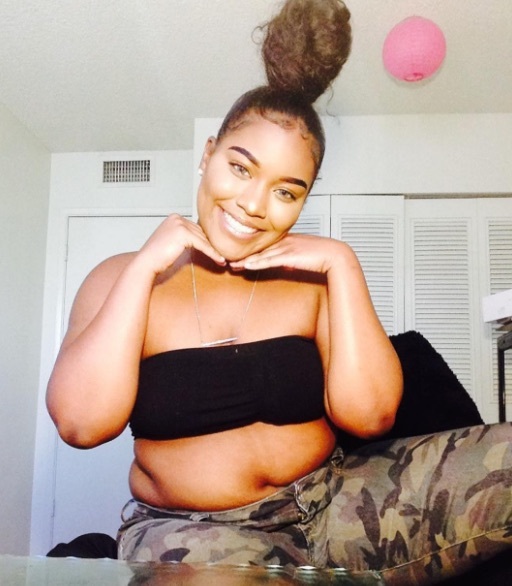 The plus-size Instagram star posted a photo of herself in a crop top and camouflage pants on her page. She looked incredible! But then, someone online then decided to make a nasty meme about Noonie’s photo because of her size. But Noonie responded with love. Noonie took a screenshot of the mean meme and shared an important message. It was an amazing message to share! It’s so nice to have someone like Noonie out there spreading the word about loving yourself and others. "As women, we have to learn to build each other up instead of trying to break each other down. #stopbodyshaming"
It was a really nice touch that she made sure to share this story with love. Even if the original poster of the meme didn’t have the same intention. In the original photo, Noonie shared her inspiring body positivity journey. Noonie Regardless, her crop top, and her story encourage us to love who we are and embrace ourselves. And we have to say, Noonie is pretty fierce in everything that she does! We love her style and her attitude. So go out today and take the world by storm to make Noonie proud. And feel free to rock a crop top, too.